A breath to breath practice, that flows through asana in a vigorous, yet intelligent sequence that challenges a student of any skill level. Based in alignment to ensure your safety and encourage stability. Modifications offered. Accessible to all levels. A breath practice that sets the foundation to begin your practice or deepens your awareness of asanas. Poses are held to allow for deeper understanding of your own skeletal alignment. By increasing your knowledge you build confidence to continue to grow your practice. Great for beginners, accessible to students at any level. In this class you will be led through a sequence of Iyengar inspired asanas. The class incorporates a flow that varies from week to week, as well as a yoga suspension wall to offer feedback and support towards optimizing asanas for your unique biomechanics. This class will prepare you for a precise practice of inversions, and help you to develop a balanced relationship between stabilizing and mobilizing movement. Yoga Fly is a perfect base or compliment to your regular practice. Accessible to all levels. This therapeutic yoga class incorporates myofascial work and traction stretching on a yoga prop wall to leave you feeling loose, stretched out, balanced and tension free. This class is good for those working with injuries and back pain. *This class is limited to 10 students, so please be sure to register in advance! A restorative practice that allows time to renew both breath and body. Postures are held for extensive periods of time to allow both mind and body to find ease and rejuvenation. Heavy prop usage, accessible to students at any level. Best when paired with a regular yoga practice. Get ready for some sweaty fun in this challenging bootcamp-style, functional fitness class. 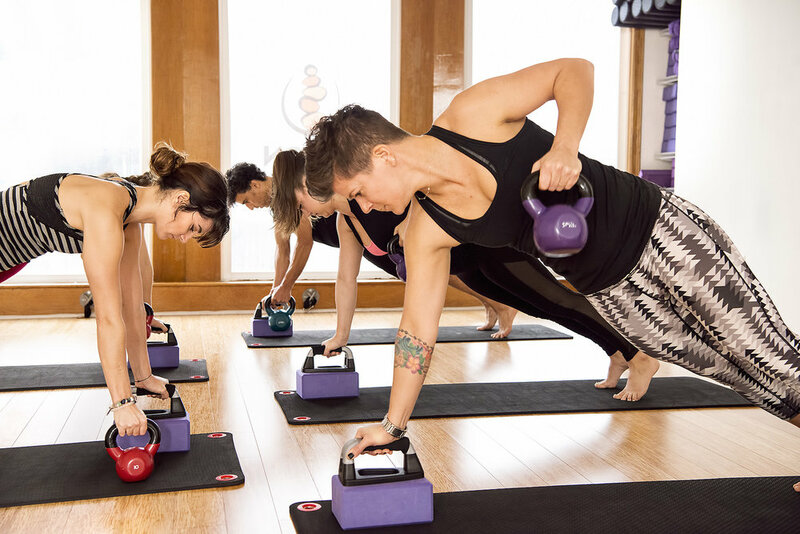 The class combines mindful alignment techniques with Tabata interval cardio, and functional strength training for a full body workout that will improve your body and mind. Expect to use TRX suspension trainers, resistance bands, gliders and weights during this intense workout. Yes - we won't lie - it does get real in this class, but the challenge will leave you burning extra calories for 24 hours or more! XPress class is 60 minutes long. Regular class is 70 minutes long. Align Ignite is a total body, metabolic conditioning, circuit workout that leaves no muscle group untouched! In this 50 minute HIIT (high intensity interval training) class you will perform functional exercises to build strength, increase range of motion and improve cardiovascular conditioning. You will engage both mind and body by focusing on breath, core coordination and balance. Expect to use resistance bands, gliders, kettlebells and light weights. As in all Align classes there is a strong focus on body alignment and form to reduce injuries, and increase strength, endurance, stamina and results! Align Define is a full body barre workout that fuses the best elements of ballet, conditioning, and stretching for a unique and fun experience. Classes begin with a warm up focusing on postural alignment, followed by a combination of upper and lower body exercises using light weights, resistance bands, as well as weighted and unweighted balls. Afterward, we head to the mat for core work and close with an invigorating final stretch. 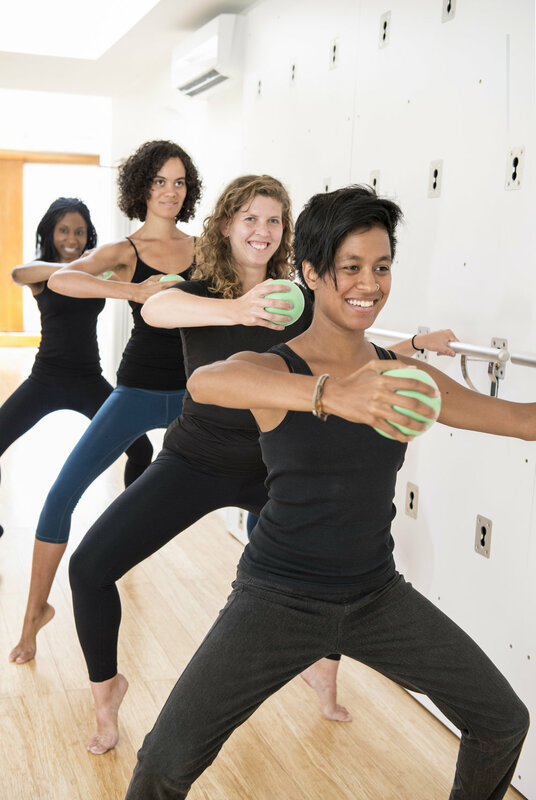 In this intelligent barre class you will move from larger movements that get your heart pumping to "feel-the-burn" pulses and isometric holds, efficiently toning and sculpting your body. Align Fusion combines the muscle defining techniques of barre workouts with contemporary Pilates moves for the ultimate in toning and alignment. Expect a full body mat workout that incorporates light weights, resistance bands, magic circles, weighted and unweighted balls, and gliders. You will find yourself walking taller and stronger after this postural alignment conditioning class. Align Core is a total body and mind workout with an emphasis on the power center, or core and abdominal muscles. This is an expansion of classic Pilates mat exercises in a low impact environment to reduce stress on the joints. The class will work to build core strength, lengthen and tone muscles, and find a rejuvenating breath system. Classes at times will incorporate props including foam rollers, blocks, weighted balls, unweighted balls, resistance bands, and gliders. Expect to finish things off with some foam rolling. Foam Rolling (a.k.a self myofascial release) is a cure for our active lifestyles. Foam Rolling helps to release muscle tightness and trigger points, as well as increasing blood flow and circulation, allowing you to train harder and reduce injury. This class combines foam rolling, the four forms of stretching (static, dynamic, passive and active), and tops it off with restorative yoga poses! This is a class not to miss. Warning you will become addicted!